Whereas the Insured has applied to . Company (hereinafter referred to as the "Company") for the insurance set herein below, and has agreed that the application is considered as the basis for and integral part of this Policy, and has paid or agreed to pay the applicable premium, and the Company has accepted and represented to pay compensation to the Insured in case of any damage to the Motor Vehicle subject to this insurance, whether it emerges from the use or parking of the Motor Vehicle in the UAE during the insurance period, whether the Insured caused the accident or was an injured party. Therefore, this Policy was entered into to cover the damages that befall on the Insured Motor Vehicle in the UAE during the insurance period according to the terms, conditions and exclusions in or appended to this Policy. Policy: The Unified Motor Vehicle Insurance Policy against Loss and Damage and any rider to it, which governs the relationship between the Insured and the Company, and whereby the Company undertakes to compensate the Insured, on the occurrence of the damage hereby covered, in return of the premium paid by the Insured. Company (Insurer): The insurance company that is licensed to operate inside the State according to the laws and regulations issued in the State and accepts to insure the motor vehicle and has issued the Policy. Insured: A natural or corporate person that has applied for insurance, entered into an insurance contract with the Company, and paid or has agreed to pay the premium. Motor Vehicle Driver (Licensed Driver): The insured or any person who drives the Motor Vehicle by the permission or order of the Insured, provided that they are licensed to drive according to the Motor Vehicle category pursuant to the Traffic Laws and other laws and regulations, and that the granted license has not been cancelled by a court's order or by virtue of the Traffic Laws and its Executive Regulations. This definition includes the driver whose driving license has expired if they manage to renew it within thirty days from the date of accident. Motor Vehicle: A mechanical machine, motorcycle or any other device that works through a mechanical force, and its specifications are described in the Policy. Insurance Application: The application that includes the details of the Insured, the details of the Motor Vehicle and the type of required coverage, and is filled in by or with the knowledge of the Insured electronically or in writing. Rider: Every special agreement between the parties in supplement to the basic coverages under this Policy. Premium: The consideration that is paid or undertaken to be paid by the Insured in return for insurance coverage. Basic Deductible: The amount paid by the Insured according to the Schedule of Deductibles attached to this Policy per accident. Ancillary Deductible:The amount paid by the Insured according to the Policy in addition to the Basic Deductible. Natural Disaster: Any general phenomenon that arises from nature such as floods, tornados, hurricanes, volcanoes, earthquakes and quakes, and leads to extensive and widespread damage, and in respect of which a decision is issued by the concerned authority in the country. Flood: An event that occurs within the concept of Natural Disasters. Road: Every road open and available to the public without need to get special permission, and every place that is made available for the crossing of motor vehicles, and is made available to the public by a permission or license from a concerned authority or otherwise, for or without consideration according to the definition mentioned in the applicable Traffic Laws. Depreciation Percentage: The percentage payable by the injured party on the occurrence of an accident, and who requests the replacement of new parts in lieu of the used parts in case of partial loss according to the schedules of depreciation. Insurance Period: The period of time of motor vehicle insurance up to the end of the thirteenth month from the commencement of the insurance. 1. The Policy and its schedules shall constitute one integral contract, and any Rider to this Policy shall constitute an integral part hereof, and every term or phrase to which a special meaning has been given in any part of the Policy or its schedules shall have the same meaning elsewhere, unless the context otherwise requires. 2. Any notice or notification of an accident that is required by this Policy shall be served to the Company in writing by e-mail, facsimile or by hand delivery to the address designated in the Policy as soon as practically possible. 3. Any external agreement between the Insured and the Company that will reduce the coverages hereunder shall be deemed void. 4. In case of several insurances with more than one insurance company, the Company will only be committed to compensate damages in the percentage of the amount insured with it to the total insured amounts against the insured risk. a. Insurance against the damages to the properties of the Insured or the Motor Vehicle Driver at the time of the accident or the properties kept with them in trust, or in their guardianship or possession under a rider to this Policy or a separate policy. b. Coverage of the damages or risks which occur outside the roads. 6. Notwithstanding the terms and conditions of this Policy, the Insurance Company may not refuse to compensate the Insured as a result of late notification of the accident, if the delay is attributed to an acceptable excuse. 7. With respect to a fleet insurance policy or any Motor Vehicle insured under this Policy, the Company may not enter into any external agreement that may reduce the coverage provided under this Policy or depriving the Insured or the Beneficiary of this Policy from exercising the right to claim for compensation hereunder, including depriving a claim for compensation for any reason not related to the accident such as age, gender, or otherwise, or the agreement will be deemed void. 8. a. If the Insured Motor Vehicle is a total loss, and the Company compensates the Insured on that basis, the salvage will be deemed property of the Company. The Insured may not be charged any expenses related to the transfer of the Motor Vehicle title or issuance of a certificate of ownership of the Motor Vehicle. b. Before receiving compensation, the Insured shall pay all amounts due on the Motor Vehicle and submit evidence of no objection from the concerned authority(ies) to transfer title of the salvage to the Company. In case of lienholders, if any, they shall provide support, paperwork, power of attorney, etc. and appear before the concerned departments, if necessary for transfer of title of the Motor Vehicle to the Company. 9. The Company may, at its expense, assume the judicial and settlement proceedings to represent the Insured or the Motor Vehicle Driver through an attorney in any investigation or interrogation and before any court in any lawsuit or intervention in any phase of the lawsuit in relation to a claim or accident for which the Company may be held liable under this Policy and which may give rise to the payment of compensation according to this Policy. The Company may settle or enter into a reconciliation for such claim. The Insured shall provide every possible cooperation with the Company by signing a power of attorney to the attorney or otherwise to enable the Company to initiate any proceedings. 10. For the purpose of verifying the details of the Insured Motor Vehicle, all details in Schedule (5) of this Policy shall be an integral part hereof. 11. No lawsuit arising from this Policy may be filed after the elapse of three years after the occurrence which has given rise to the lawsuit or the related parties become aware of its occurrence. 12. The courts of the United Arab Emirates shall be competent to determine any disputes arising from this Policy. f. Any additional coverage to be agreed upon under this Policy or special riders to it. a. Repair the Motor Vehicle or any of its parts, accessories, or spare parts and restore the vehicle to its pre-accident condition. b. 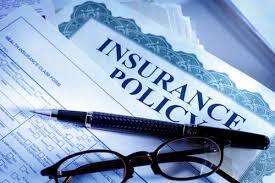 Pay the amount of loss or damage in cash to the Insured if this is agreed on with the Insured. c. Replace the damaged Motor Vehicle in case of a total loss, unless the Insured requests the Company to pay them the amount in cash. In this case, the Company shall respond to the Insured's request. 3. If the Insured requests that new original parts are to be installed in lieu of the parts damaged during the accident or are to be paid for in cash, the Insured will bear the Depreciation Percentage set in Schedule (1) of the final value of the purchase invoice. In case of taxi vehicles, public transport vehicles and rental vehicles, the Insured will bear the Depreciation Percentage set in Schedule (2). 4. The Insured may assume the repair of damages that occur to the Motor Vehicle as a result of an insured accident hereunder, provided that the estimated repair costs do not exceed the value of repair agreed upon in writing with the Company. 5. If the Insured Motor Vehicle is lost, proves to be irreparable, or that costs of repair exceed 50% of the Motor Vehicle value before the accident, the insured value of the Motor Vehicle agreed upon between the Insurer and the Insured on signing of the Insurance Policy will be the basis of calculation of the compensation of loss and damage insured hereunder after deduction of the Depreciation Percentage of 20% from the insured value, and taking into account the fraction of insurance period (i.e., the proportion of the period from the commencement date of the insurance period to the date of the accident to the total insurance period). 6. If the Motor Vehicle becomes unroadworthy due to loss or damage insured hereunder, the Company will bear the necessary costs of safeguarding and transporting the Motor Vehicle to the nearest repair shop, in order to deliver it to the Insured after repair. 7. If the damaged Motor Vehicle is repaired with repair shops approved by the Company, the Company shall insure that the Motor Vehicle is repaired properly, carefully and professionally and that the work is warranted by the repair shops. The Company shall ensure that the Insured is enabled to have the Motor Vehicle checked by any approved motor vehicle examination agency in the UAE to make sure that the Motor Vehicle has been properly repaired without affecting the technical examination of the damaged Motor Vehicle at the concerned official authorities. If it is found that the repairs are below required and recognized technical standards, the Company shall address the issue(s) with the repair shop until the Motor Vehicle is professionally repaired and delivered to the Insured. 8. In case of any conflict between the Company and the Insured concerning the value of damages or the amount of compensation, the Company will appoint an Authority-licensed and registered Surveyor and Loss Adjuster to determine the value of these damages or the amount of compensations at the Company's expense. If the expert's opinion is disapproved, either party may request the Authority to appoint an expert licensed by it at the expense of that party, and that the expert's charges will be eventually borne by the party for whom the report was not in their favor. 1. To pay the Agreed upon Premium. 2. All reasonable precautions must be taken to keep and protect the Insured Motor Vehicle from loss or damage and maintain the same in a good working condition. In case of any accident or breakdown of the Motor Vehicle, the Insured may not leave the Insured Motor Vehicle or any part thereof without taking necessary precautions to prevent the aggravation of damages. If the Insured Motor Vehicle is driven before making necessary repairs by the Insured or the Motor Vehicle Driver, every increase of damage or every damage to the Insured Motor Vehicle arising from the same will not be the responsibility of the Company pursuant to this Policy. 3. The Insured shall remain the sole owner of the Insured Motor Vehicle throughout the Insurance Period, and may not lease the vehicle to any third party or sign any contract which may restrict their absolute ownership and possession of the Motor Vehicle without the prior written consent of the Company. 4. In case of any accident which may give rise to a claim according to the provisions of this Policy, the Insured shall immediately notify the concerned official authorities, and shall promptly notify the Insurer and furnish all information related to the accident without unjustifiable delay. The Insured shall furnish the Insurer as soon as possible for every claim, notice or judicial papers once they receive them. 5. The Company shall be notified as soon as practically possible once they become aware of any lawsuit, investigation or detections concerning the accident. In case of theft or any other criminal act which may give rise to a claim according to this Policy, the Insured shall notify the police and the Company promptly and as soon as practically possible and cooperate with the Company in this respect. 6. The Insurer may charge the Insured that has caused the accident with a deductible amount to be deducted from the due amount of compensation due with respect to any accident which is caused by them personally or by the person authorized by them to drive the Motor Vehicle or cases that are deemed committed by an unknown person, according to Schedule (3). a. Maximum 10% of the amount of compensation if the Motor Vehicle Driver is below the age of 25 years. b. Maximum 10% of the amount of compensation in case of taxi and public transport vehicles. c. Maximum 15% of the amount of compensation of sports cars and modified vehicles. d. Maximum 20% of the amount of compensation of vehicles modified outside the factory. e. Maximum 20% of the amount of compensation of rental vehicles. 8. For application of paragraph (7) of this Chapter, application of Deductible Percentages shall apply the highest percentage in the case of several deductibles for one accident. 1. Indirect losses that occur to the Insured or devaluation of the Motor Vehicle as a result of its use, breakdown, defect or breakage of the mechanical or electrical devices. 2. The damage arising as a result of overload or excess of the limits of permissible width, length or height or the excess of the number of passengers beyond the licensed number, provided that it is proved that this is the proximate cause of damage. 3. The damage of tires if it does not occur at the same time as damage to the Insured Motor Vehicle. a. Use of the Motor Vehicle for purposes other than those mentioned in the Insurance Application attached to this Policy. b. Violation of laws if the violation implies an intentional felony or misdemeanor according to the definition mentioned in the applicable Federal Penal Code. 5. If it is proven that the Motor Vehicle has been used or utilized in a speed race or test, provided that this is proved to be the proximate cause of the accident. 6. The damage to the Motor Vehicle from the accidents which occur during the Motor Vehicle being operated by a driver who is not licensed to drive according to the Traffic Laws or without obtaining a driving license for the kind / category of the Motor Vehicle according to the Traffic Laws and Regulations and the provisions of this Policy, or the driver holding an expired Driver’s License who fails to renew it within thirty days from the date of the accident, or the license granted to them has been suspended by the court or competent authorities or according to the Traffic Regulations. 7. Loss or damage that occurs to the Motor Vehicle, or any part thereof, with respect to accidents while the Motor Vehicle is being driven under the influence of narcotics, alcohol or drugs that undermine the driver's ability to control the Motor Vehicle if this is proven to the competent authorities or confessed by the Motor Vehicle Driver. This exclusion does not apply in case of rental vehicles. 8. Loss or damage that occurs to the Motor Vehicle outside the geographical territory set out in this Policy, unless a rider is issued to extend coverage to this territory. 9. The accidents that have occurred, caused, resulted or are related directly or indirectly to natural disasters such as floods, tornados, hurricanes, volcanoes, earthquakes and quakes. 10. Invasion, foreign enemy hostilities or warlike operations, whether war is declared or not, civil war, strike, civil commotion, insurrection, revolution, coup d'état, usurped power, confiscation, nationalization, radioactive substances and radioisotopes, atomic or nuclear explosions, or any factor directly or indirectly related to any of the foregoing causes. 11. Loss or damage that occurs to the Insured Motor Vehicle if the Company loses the right of subrogation to the damage causer due to the Insured's declaration of being responsible for the accident, which they have not caused. If this is proven after payment of compensation to the Insured, the Company may have recourse to it for recovery of amounts paid to them. 12. Loss or damage that occurs to the Motor Vehicle off the road, as defined, unless a rider is issued extending coverage to drive outside the road. 1. If it is proven that the insurance was concluded based upon the Insured's misrepresentation and non-disclosure of material facts that affect the acceptance by the Company to cover the risks or insurance rate. 2. If following payment of compensation, it is proven that the Motor Vehicle was used for purposes other than those set out in the Insurance Application attached to this Policy, or the maximum number of passengers was exceeded, or the Motor Vehicle was overloaded, or its loading was not secured correctly or exceeds the limits of permissible width, length or height, provided that this is proven to be the proximate cause of the accident. 3. If following payment of the compensation it is proven that there is a violation of the law, if the violation involves a willful felony or misdemeanor, as defined in the UAE's applicable penal code. 4. If it is proven that loss or damage that occurred to the Motor Vehicle, or any part thereof, arose from the Insured or another person driving under the influence of narcotics, alcohol or drugs that undermine the driver's ability to control the Motor Vehicle, if this is proven to the concerned authorities or confessed by the Motor Vehicle Driver. In case of rental vehicles, recourse will be against the Motor Vehicle Driver (renter). 5. If the accident is proven to have occurred intentionally by the Insured or the Motor Vehicle Driver. 6. If the trailer, half-trailer or semi-trailer causes an accident, and the Insured has not agreed with the Company on the existence of such a trailer. 7. If loss or damage that occurs to the Motor Vehicle is a result of theft or robbery, recourse will be against the thief. 1. The Company may terminate this Policy on the condition that there are serious grounds for termination during the Policy Period by a notice in writing to be sent to the Insured via e-mail, facsimile, hand delivery or registered letter thirty days prior to the fixed date of termination to the latest address of the Insured known by the Company. The Insurance Authority shall be advised of the grounds of such termination. In this case, the Company shall refund to the Insured the paid premium after deducting a portion in proportion to the period during which the Policy has remained in effect. 2. The Insured may terminate this Policy by a notice in writing to be sent to the Company via e-mail, facsimile, hand delivery or registered letter seven days prior to the fixed date of termination. In this case, the Company shall refund to the Insured the paid premium after deducting a portion in proportion to the period during which the Policy has remained in effect subject to the Short Rate Schedule No. (4), provided that there is no compensation paid to the Insured or pending claims in relation to this Policy during the period of time the Policy is valid, if the Insured has caused the accident or in cases that are deemed committed by unknown persons. 3. This Policy shall be considered terminated in case of a total loss to the Motor Vehicle, provided that its registration is deleted with a report issued by the Road and Traffic Department confirming that it is unroadworthy, and the Company shall compensate the Insured according to the provisions of this Policy.